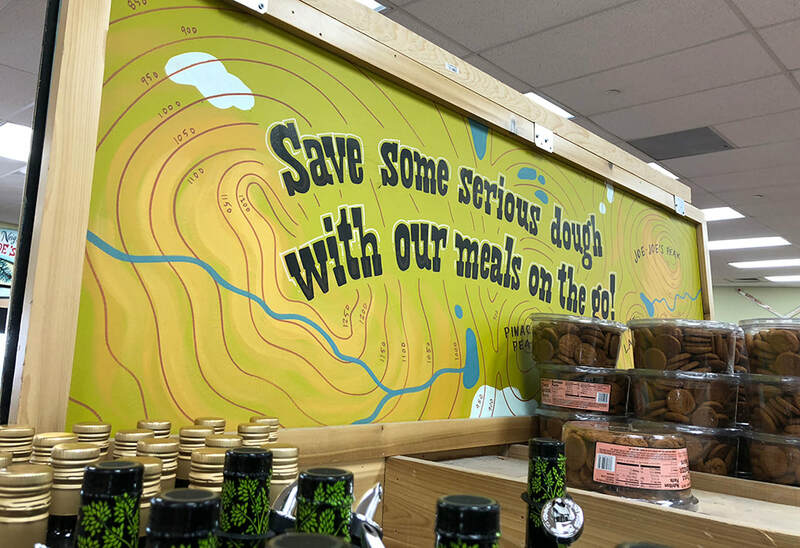 This was a fun project: creating permanent, evergreen signage for the backs of chalkboard displays at Trader Joe's in Greenwood Village, Colorado. 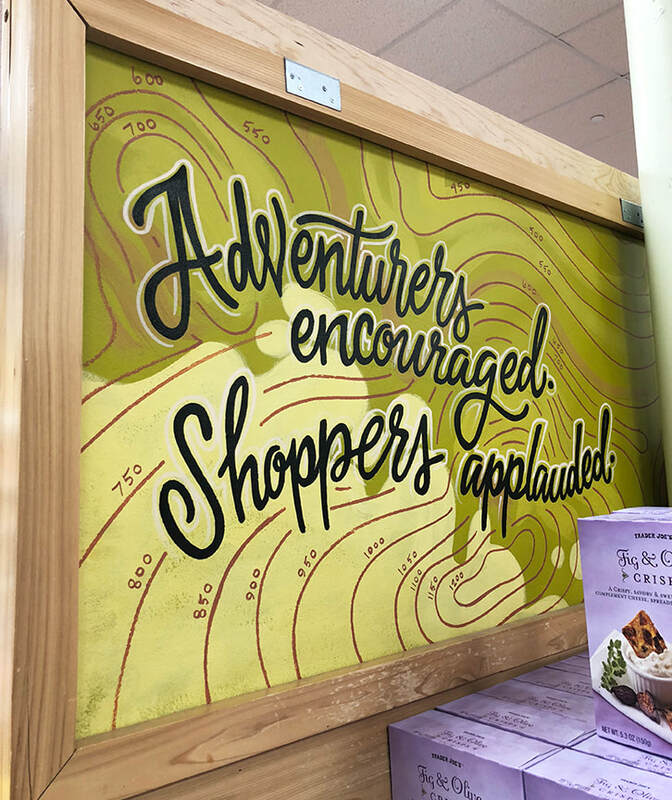 These incorporated quirky TJ's value slogans with my imaginary topographic maps inspired by the names of some favorite Joe's products. It was fun to keep these looking like a set, but have each board be unique as well! 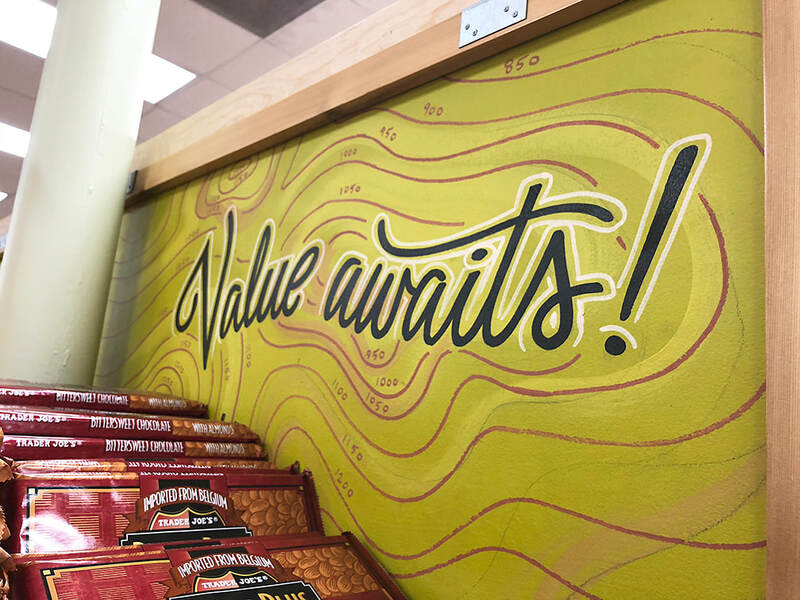 I love projects that involve both painting and creative hand lettering.